Living next door to your favorite idol group is every fangirl’s dream. That is exactly what happened to awkwardly shy, easily embarrassed Ji Yeon Hee (Moon Ga Young) when EXO (Park Chan Yeol, Do Kyung Soo, Byun Baek Hyun, and Oh Se Hun) took a break from touring and moved in next door. Since EXO Next Door is an idol drama, I was not expecting topnotch acting or a fantastic storyline. I was interested simply because — it’s EXO. The drama did a great job at making it easy to live vicariously through Yeon Hee. She not only lives next door to EXO, but also gets to interact with them daily. I found this very intriguing as I got to experience everything Yeon Hee did while living and working with the idol group. The length of the episodes also made it easy to keep going, even when the storyline was slow moving or confusing at times. The drama made it easy to live vicariously through Yeon Hee. EXO Next Door starts off with a mysterious black van driving through a neighborhood on a dark, rainy night. Out pops Chan Yeol, D.O., Baek Hyun, and Se Hun moving to their new home. The drama then cuts to Yeon Hee standing outside of a convenience store and doesn’t shy away from showing how strange of a being she is. She turns bright red from embarrassment of having to buy feminine hygiene products. I was also surprised to see how wild of an imagination Yeon Hee has, thinking that the group of men behind her, EXO, were murderers. 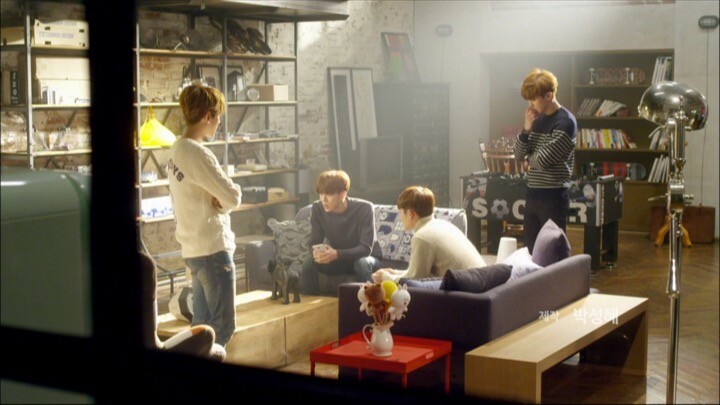 Shortly after, Yeon Hee is forced to clean the house next door by her mom, who rented it to EXO. So, Yeon Hee begins her interactions with them by being their housekeeper. In total Yeon Hee fashion, she meets EXO awkwardly and the boys waste no time in teasing her. She soon builds relationships with each of the members — for better or worse. I was eager to continue watching the drama to find out exactly how their relationships would unfold. Meanwhile, Yeon Hee’s younger brother, Kwang Soo, and best friend, Ga Eun, are introduced as well. Kwang Soo is extremely eccentric but highly favored by their mother. He is a memorable character to me due to his bizarre focus on his mother and martial arts. Ga Eun on the other hand, is that friend that we all have who loves to give misguided advice. She is an EXO fan herself and seems to enjoy living her fangirl fantasies through Yeon Hee, just like me. 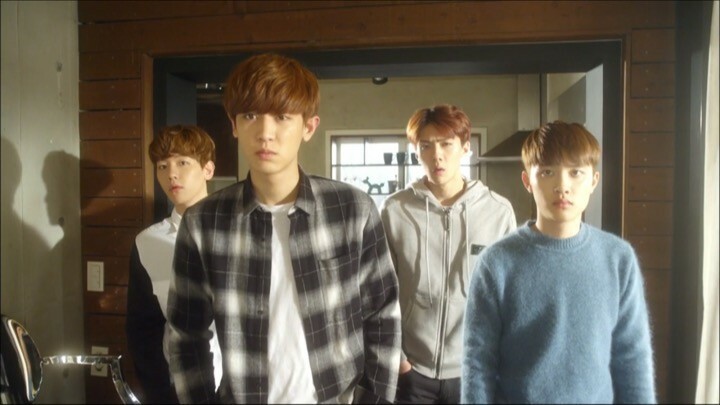 Episode four is when EXO Next Door‘s main plot begins to unravel. As Yeon Hee’s relationships with the boys deepen, it’s surprising to see that Chan Yeol knows more about her than the others. He even asks her if she knew who he was, implying some sort of past history between them. I’m curious to find out the real reason that Chan Yeol wanted to return to this particular house. At the same time, Yeon Hee also shares an intimate moment with D.O., who has quickly become my favorite EXO member in the drama. I like the fact that he is sincere, compassionate, and genuinely interested in Yeon Hee. Unfortunately, as the main arc of EXO Next Door develops, I actually start to lose interest because the storyline doesn’t flow as well as I would have liked. Nothing is keeping up my attention other than D.O., the character he is playing, and his acting skills. Thankfully, one thing that helps save this section of the drama for me is Kwang Soo realizing who EXO actually is. This is one of the funniest scenes of the entire drama and shows great acting. It turns out that EXO comes from EXOPLANET and each member is given a special power ranging from teleportation and telepathy to time control and lightning. Kwang Soo is shocked to find videos showing their powers and begins to worry about his sister working for them. Another highlight worth mentioning is Se Hun’s relationship with Kwang Soo. 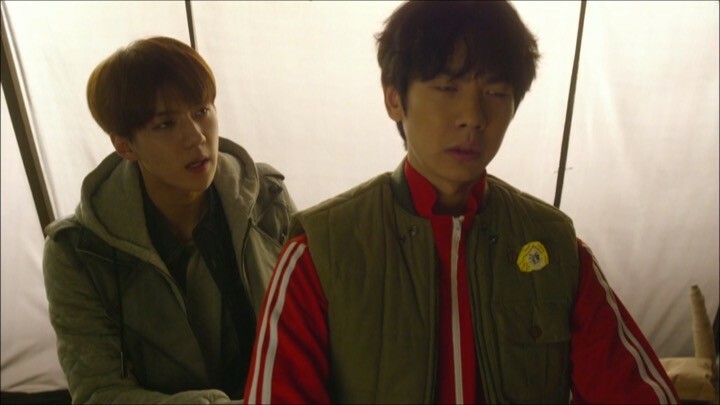 Se Hun’s character is also a little odd, so naturally he forms a bromance with Kwang Soo. Se Hun and Kwang Soo’s relationship is not only entertaining for me, but also helps move the plot along. For example, Kwang Soo reveals to Se Hun, and the viewers, that Yeon Hee has a crush on one of the EXO members, Kai (Kim Jong In), who appears at the end of episode seven. Finally, all of the EXO members are together now. 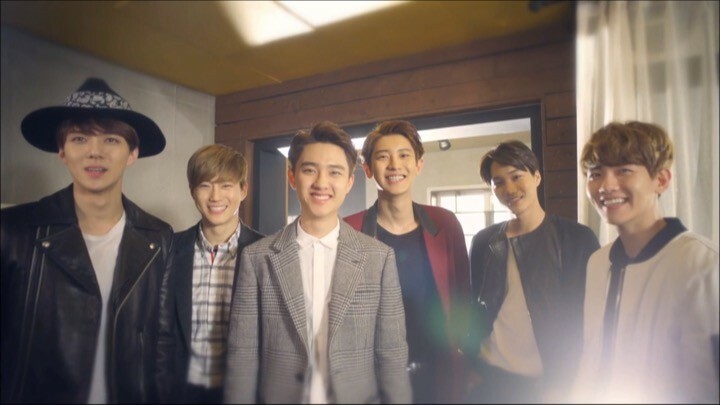 I was really hoping that EXO Next Door would pick back up with the interaction of the new members, but I was somewhat let down. Everyone being together didn’t really add much to the plot of the drama, other than the fact that they were all really excited to finally meet Yeon Hee after hearing so much about her. 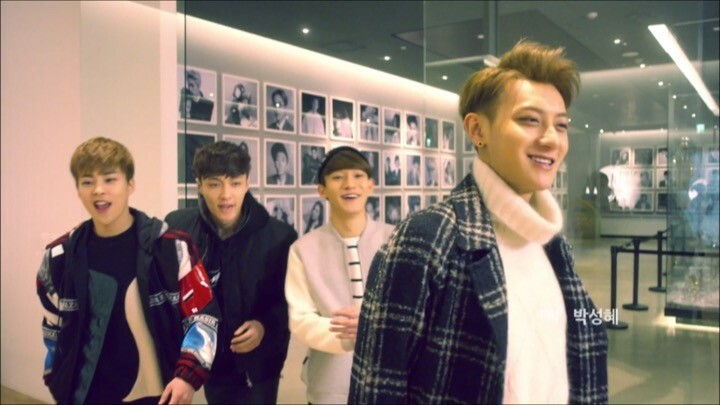 I was even more disappointed that the extra EXO members were only in the drama for one episode. However, Kai’s appearance was enough to keep me watching. Kai came in like a tornado, stirring up chaos before leaving a few days later. He plays up the fact that he is supposedly Yeon Hee’s favorite member and constantly flirts with her in front of the other members, whenever he gets the chance. Kai knows exactly what to say and how to act around Yeon Hee to make her flustered yet comfortable at the same time. Despite Yeon Hee making it clear that Kai was not her favorite member, Kai never ceased his antics. 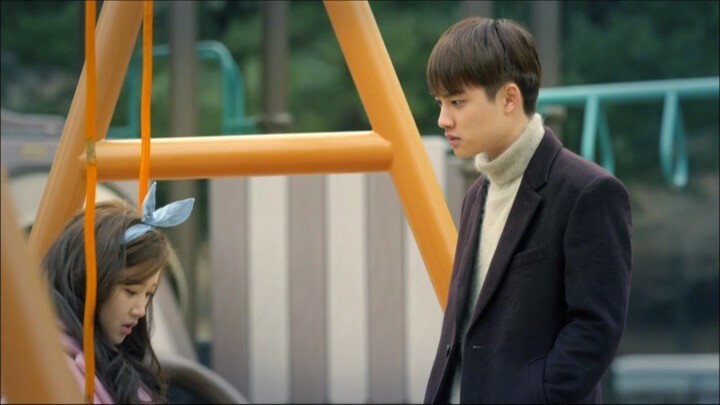 For me, it was quite entertaining to watch Kai’s interactions with Yeon Hee fueling the jealousies felt by D.O. and Chan Yeol. At this time, EXO Next Door has my undivided attention as everything is finally coming full circle. Thanks to Chan Yeol’s childhood flashbacks and a photo discovered by Se Hun and Kwang Soo, a huge secret within the plot is now revealed. The photo sheds light on Chan Yeol and Yeon Hee’s past, which has been a gripping mystery of the drama. The drama takes an exciting turn as all the puzzle pieces come together. Chan Yeol and D.O. are also fully aware now that they are competing for Yeon Hee and I could feel the tension building. 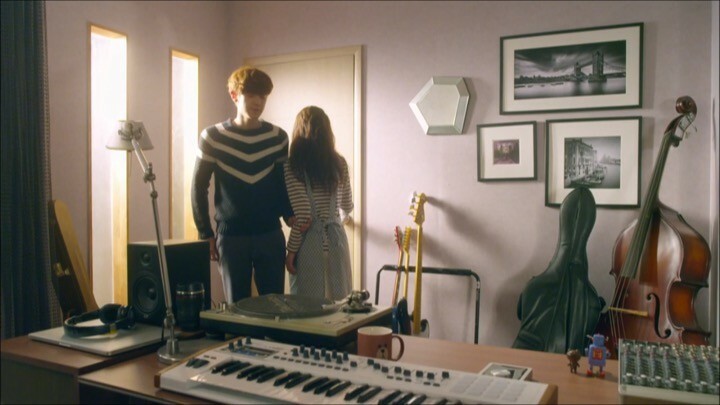 Luckily for Chan Yeol, he finds a secret room in the house by accident and gets trapped in it with Yeon Hee. From there, Yeon Hee recalls her past with Chan Yeol and I breathe a sigh of relief now that her mind has finally opened. The drama takes an exciting turn and all of the puzzle pieces are coming together now! 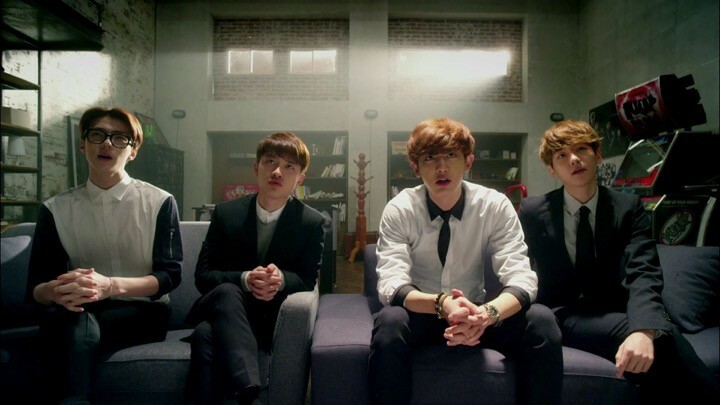 EXO Next Door reaches its climax as we fully uncover the surprising amount of history between Chan Yeol and Yeon Hee. I was relieved to find out the truth and glad that Yeon Hee’s memories gave more depth and insight into her relationship with Chan Yeol. I start to see Yeon Hee opening herself up and not being so embarrassed by everything anymore — a lot of character growth that I appreciate. Naturally, as Yeon Hee becomes closer with Chan Yeol, her relationship with D.O. begins to suffer. D.O. realizes that he can’t compete with the history between Chan Yeol and Yeon Hee and decides to be there for her as a friend instead. I was rooting for D.O., so I was disappointed, though not surprised that this is how things turned out. Strangely, right when the drama reaches its climax, a weird plot twist is introduced when EXO’s leader, Su Ho, mysteriously disappears. I was rather confused about the injection of this seemingly random subplot and didn’t think it fit in with the main focus of the drama at all. 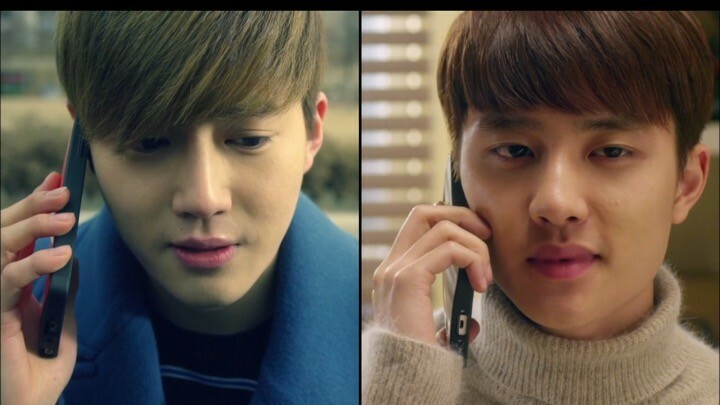 Continuing with the previous subplot, Episode 15 of EXO Next Door starts with the members looking for Su Ho. Yeon Hee and Chan Yeol’s relationship has just started, yet he needs to leave her for a silly reason. 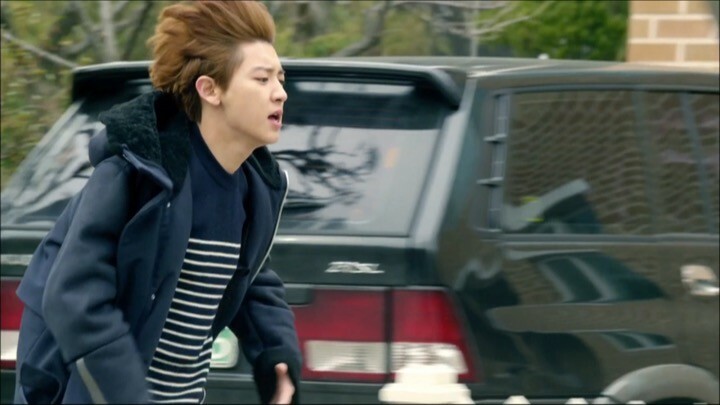 Even worse, while Chan Yeol searches for Su Ho, he leaves his phone in the car and misses Yeon Hee’s messages. I felt that this entire subplot was there just as a means to dampen their relationship. As a viewer, I just wanted them to be together already rather than dragging it on. Sadly for me, Kwang Soo, and Yeon Hee, it’s time for the boys to go back on tour. Yeon Hee tries her best to go back to her regular life and not wait around to hear from Chan Yeol. As a girl, I can definitely relate to her efforts in trying to move on with her life. Just when Yeon Hee is finally back to her normal life again, her mother tells her to go clean the house next door again because someone’s moving in. And I wasn’t surprised at all to see EXO moving back in again. As mentioned before, I really didn’t have high expectations for EXO Next Door and only gave it a shot because I’m an EXO fan. My hunch was proven right when I lost interest during some of the slow moving parts of the drama. 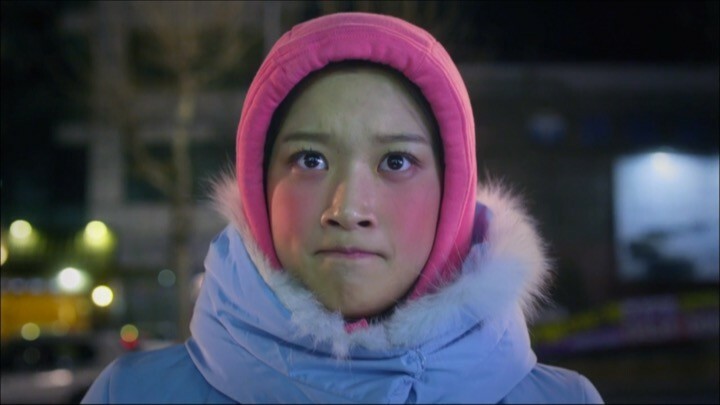 In addition, EXO Next Door did get confusing at times with plots that didn’t flow very well because too much were crammed into such a short amount of time. However, since the episodes were short (no longer than 12 minutes or so), it was not too hard to power through them and keep on watching. Overall, the drama was all right and the acting wasn’t terrible. If you’re an EXO fan who can excuse some of the plot issues to watch your favorite idols like me, then go for it.